One of the greatest things about Regions Personal Loan is you can apply for an unsecured option. This means that you do not have to provide collateral when getting this offer. It is also applicable for general needs and many other purposes including car repairs, medical emergencies and vacations. This offer is considered one of the quickest loans available from Regions, making it ideal for a lot of people. The good news is you can access your funds in a lump sum upon loan closing. When you borrow from Regions, you are guaranteed a carefree experience. You can use their loan calculator and other tools available on their website to guarantee an in-depth yet easy process. This company also makes monitoring and managing your account a lot more convenient. You can use your phone for mobile banking and online banking via internet browsers. When you decide to get this loan, you need to make sure that you are qualified for this offer. You can start the process by checking Regions website and use their online application form. Keep in mind that you will need to provide your personal details including your age or date of birth, address, residence status and contact number. Moreover, be ready to input your income type, individual monthly net income, rent/mortgage monthly payment and social security number. During this process, you will be asked to indicate what the loan is for. Are you relocating? Are you having an emergency or any other life events? Make sure to note this during your application. Your loan amount can range from $2,000 to $35,000. This can depend on your preferred amount and other criteria set by the company. Aside from filling out the online form, you can also set an appointment with the company’s representatives. When paying for your dues, there is no need to worry about varying annual percentage rates because Regions personal loans come with fixed rates. Your annual percentage will depend on your loan amount and term. Remember that your loan term will depend on the amount you borrow. Your repayment frequency is set to monthly with a fixed amount, allowing you to anticipate your payments with ease. If you want, you can set up an automatic repayment method to make sure that you do not miss any schedule. When getting a loan, nothing feels better than being able to easily get your hands on your funds. It also pays to have peace of mind every time your payment schedule comes up. 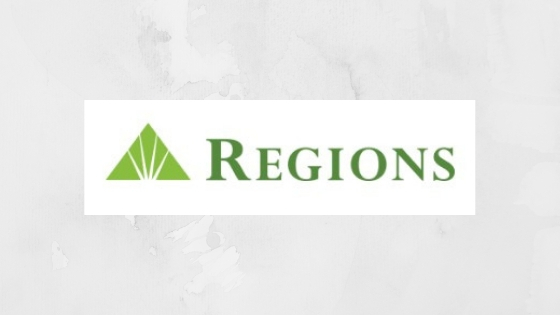 Want to get a Regions Personal Loan? Start your application today!